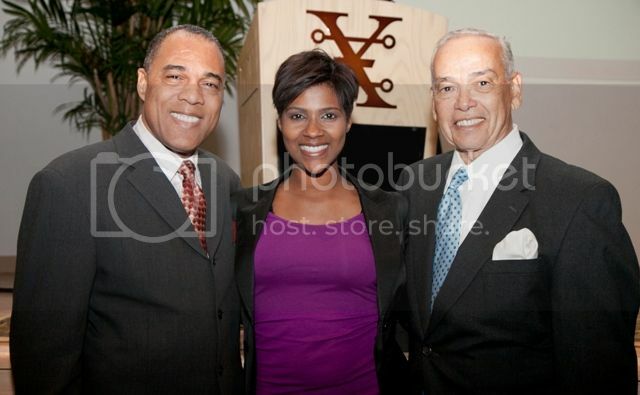 Honoree Howard F. Sims, mistress of ceremonies Yetta Gibson, and honoree Michael Kelly attend an event hosted by the Black Philanthropy Initiative of the Arizona Community Foundation on January 20, 2011 in Tempe, Arizona. 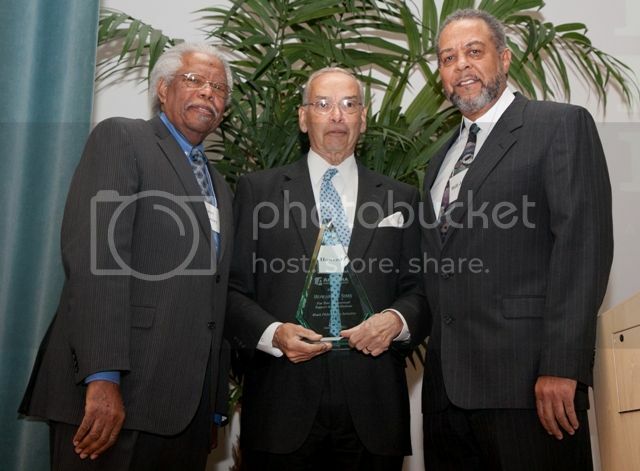 On January 20, 2011, Arizona’s black philanthropic community gathered to honor two community leaders at the Arizona Historical Society in Tempe. 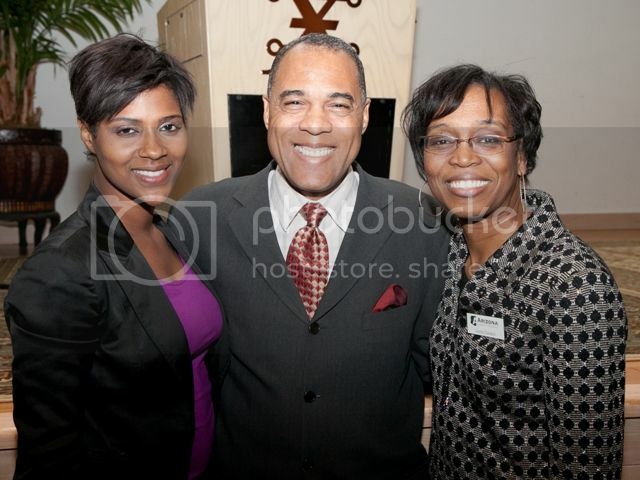 Hosted by the Black Philanthropy Initiative (BPI) of the Arizona Community Foundation (ACF), honored were Howard F. Sims, an architect, former trustee for the W.K. 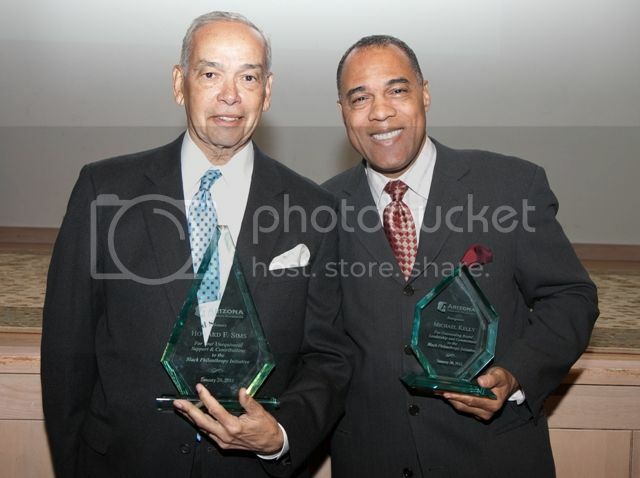 Kellogg Foundation, and emeritus trustee for The Community Foundation for Southeast Michigan; and Michael Kelly, founding board member of the Greater Phoenix Black Chamber of Commerce and board member of the Arizona Community Foundation. 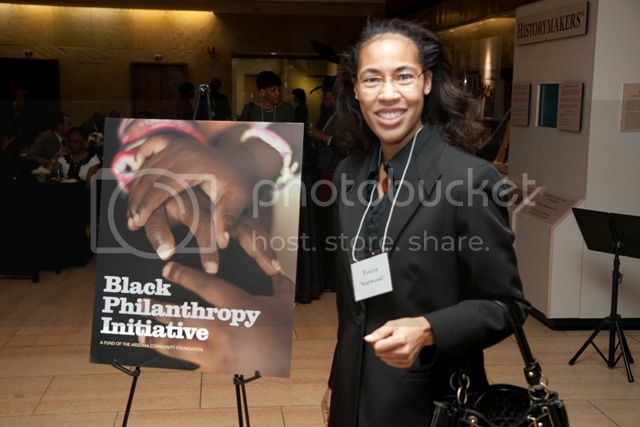 The Arizona Community Foundation’s Black Philanthropy Initiative is a permanent endowment supported by African-Americans to address relevant issues in Arizona’s Black community. Through strategic grantmaking, the endowment will support nonprofits serving African-Americans in such critical areas as health, education, workforce development, community building and more. Their goal is to build a $1 million dollar fund by 2015 while also increasing individual, named charitable funds at ACF dedicated to African American issues. A recent gift was made by honoree Howard Sims, who along with his wife donated $300,000 in collaboration with Gamma Mu Boulé to increase leadership development for African Americans. The event’s mistress of ceremonies was Yetta Gibson, a reporter for the local TV station 3TV, and receiving special recognition was Jean Fairfax, past board member and BPI Task Force member. 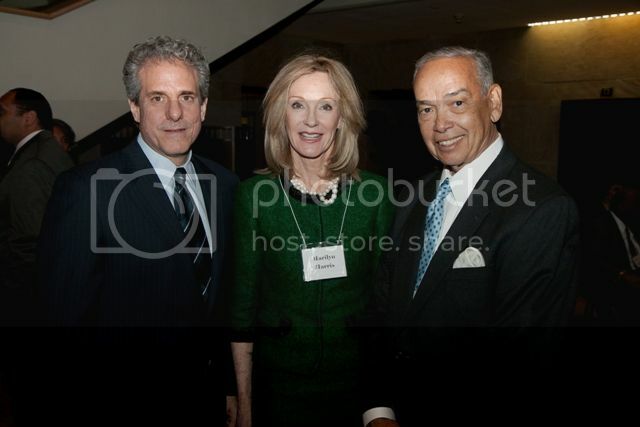 The event was coordinated by Joy Johnson of A Joyous Event. 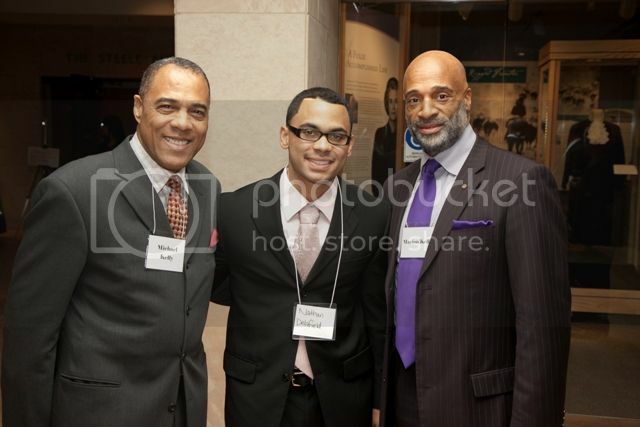 To learn more about the Black Philanthropy Initiative, visit HERE. To make a donation, call AZF at 602-381-1400.